The hoodie has large front appliqué. 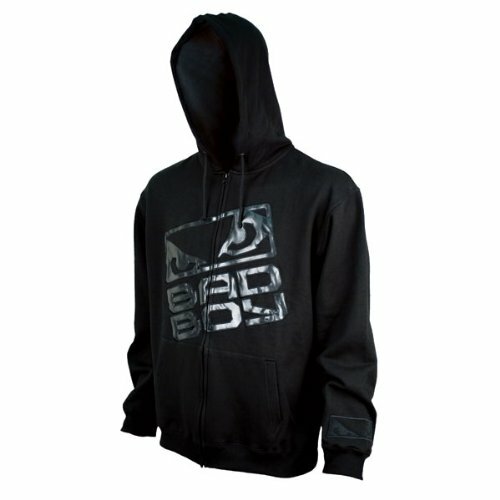 Bad Boy logo with smaller Bad Boy logos on each wrist. Fully zippered and has large front pockets. Also features cuffs with thumbholes so you can tuck sleeves when not in use. Made from 80/20 heavyweight fabric. Black.